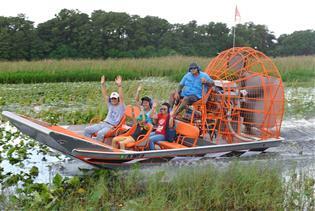 Price based on 2 adults & 1 night. Customize to see price. 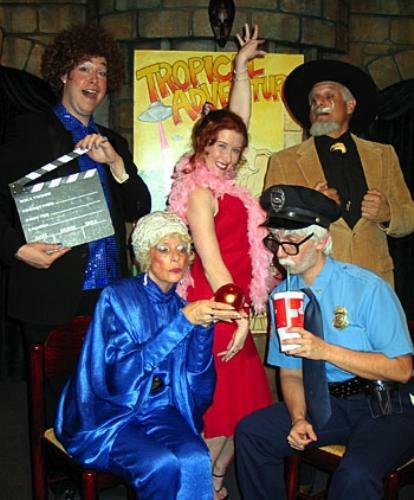 Located on iconic International Drive, Sleuths Mystery Dinner Shows features three intimate theaters showcasing a variety of interactive two and a half-hour comedy mystery shows. 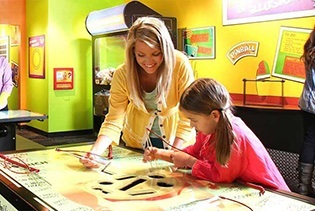 Guests of all ages can enjoy taking on the role of detective while solving a mysterious crime filled with outrageous characters, hidden clues, a delicious meal and lots of side-splitting laughter. Become a mystery solving detective in this comedic and mysterious show. Fun prizes await those who are successful Sleuths. Unlimited beer, wine and soft drinks. 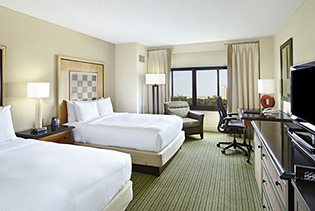 Located on I-Drive within walking distance to I-Drive 360. Complimentary hors d'oeuvres and a full cash/credit bar is available before the show starts. Audio & video recording is strictly prohibited. 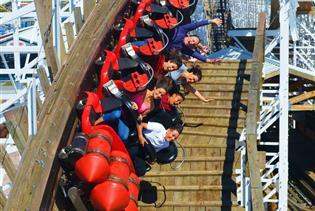 Guests can take pictures during “non-performance” time and after the show. This is a 2 1/2 hour show and dinner. A $6 fee is collected at the door if you purchase a dinner with Prime Rib. 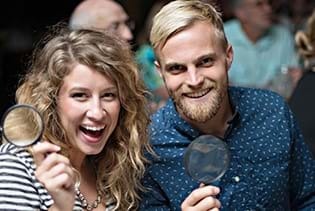 Join Sleuths Mystery Dinner Show for a comedy, mystery shows where you become the detective and solve the crime! 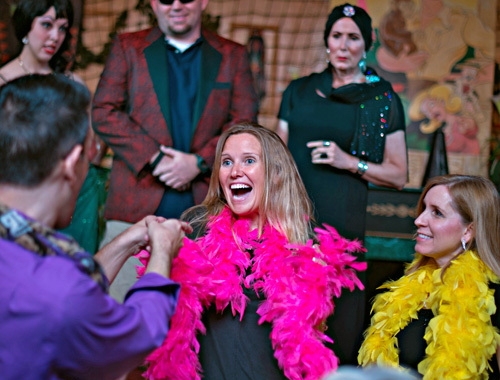 Sleuths Mystery Dinner Shows 2 ½ hour long intrigue will keep you talking for years to come about the mysteries that lurk in Orlando. Your evening at the show begins by entering one of our three intimate theaters where you are greeted and treated like an invited guest by outrageous characters. Dine on pre-show food selections such as salad, dinner rolls, crackers, and a signature cheese spread as you inspect your surroundings and surmise if anything suspicious is in the works. Soon thereafter, you’ll be treated to a hilarious 45-minute comedy mystery where all the clues are presented, and you help Sleuths solve the crime. Enjoy a delicious dinner as you and your dinner companions become a team and formulate questions for the live interrogation. Your dinner includes unlimited beer, wine, and soft drinks. 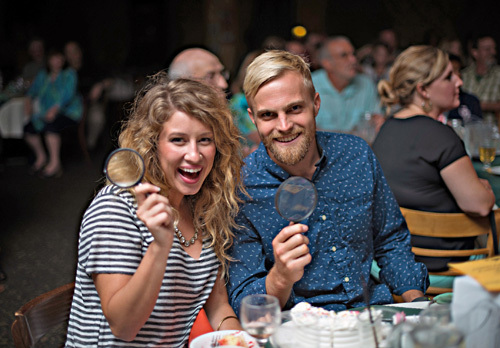 After dinner, the detective at the Sleuths Mystery Show moves around the room allowing each table to ask their questions and uncover additional clues. 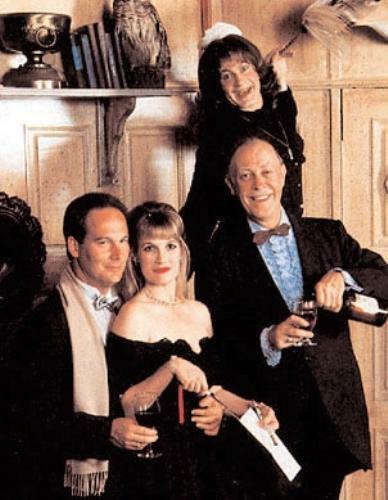 It’s improvisational comedy that will have you howling with laughter as you solve the crime! Your evening concludes with your choice of a mystery dessert as you make your final guess as to who committed the crime. Then, watch as the detective unveils the actual criminal and awards fun prizes to the sleuths who were successful in their guess. *An additional $6.00 fee applies to adult or child meals with Prime Rib collected at the door during regular show nights. For Sleuths' New Year's Eve Party, tickets are available for the 9:00 pm show. Please click here to purchase tickets. This will include the Prime Rib choice, with hats and party favors, upgraded hors-d'oeuvres and desserts, and a Champagne toast at midnight! It does NOT include gratuity. Note: For menu details, please review our FAQ section. Is there a pre-show guests should be aware of at the Sleuths Mystery Dinner Show? In the lobby, before the show, complimentary hors d'oeuvres and a full cash/credit bar are available while a member of your party checks in with our friendly cashier. 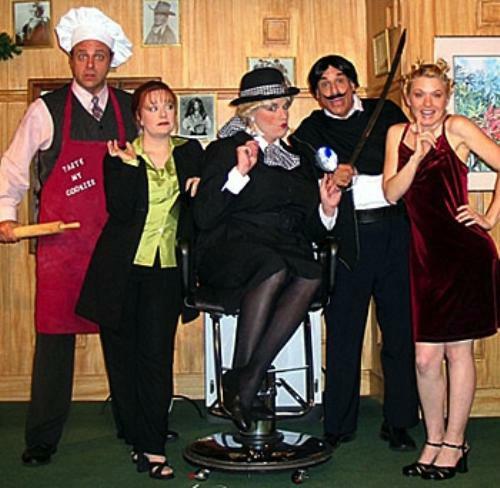 Are visitors allowed to meet and greet the performers at the Sleuths Mystery Dinner Show? Yes. Performers are available after the show for autographs and pictures. Audio & video recording is strictly prohibited. Guests can take pictures during “non-performance” time and after the show. How is seating arranged at the Sleuths Mystery Dinner Show? Seating at the Sleuths Mystery Dinner show consists of round table seating with 8-10 people per table. 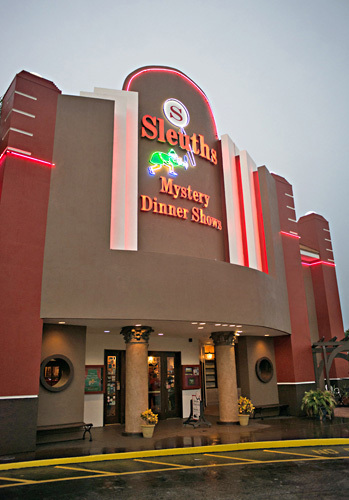 What type of menu is served at the Sleuths Mystery Dinner Show? Guests have a choice between a Honey Glazed Cornish Hen meal, which includes herbed stuffing, ½ baked sweet potato, vegetables and cranberry sauce; Four Cheese Lasagna (with or without meatballs) accompanied by vegetables and a garlic bread stick; or Prime Rib (served medium), which includes a baked potato and vegetables. All meals come with a garden salad, bread, crackers & cheese spread, a choice of mystery dessert and unlimited beer, wine and soft drinks. What is in a Harvest Plate? It consists of Squash and Zucchini “Noodles”, with Marinara Sauce, a Vegetable Medley (consisting of Squash, Zucchini, Carrots, Red Onions, and Red Peppers), with a choice of Baked or Sweet Potato. The Harvest Plate is a vegetarian or vegan meal choice. The lasagna without the meatballs is also a vegetarian choice. What does the child's dinner include? For children ages 3-11, a dinner featuring chicken tenders, macaroni and cheese and green beans is available. The dinner break is approximately 35 minutes. The dessert break is 10 minutes. 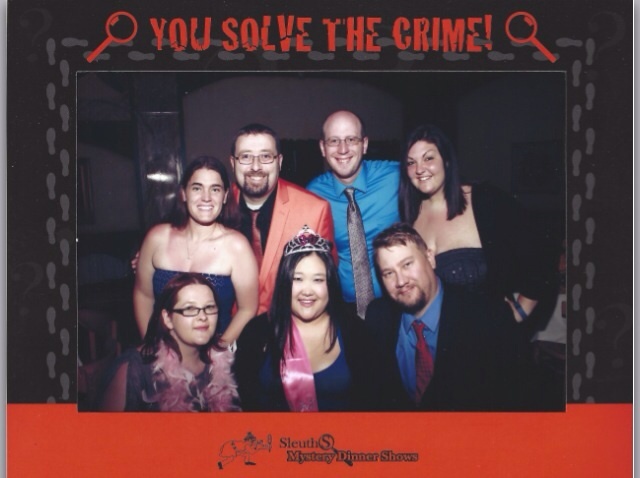 What is the size of the Sleuths Mystery Dinner Theater? There are three theaters at Sleuths, with the largest seating 250 guests. There is also a full bar on-site. Miss Marple, seating 75, has three rows, Dr. Watson, seating 225, has 5 rows and The Sherlock, seating 250, and has 3 - 4 rows. Approximately how long is the Sleuths Mystery Dinner Show? There is an hour long pre-show in the lobby followed by a 2 ½ hour show and dinner. 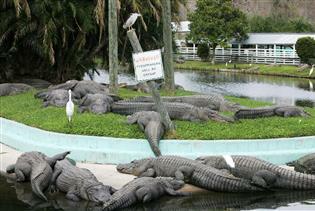 There is complimentary plaza parking available for guests.